Regular buyers will have to pay at least $135,700 for the pleasure of owning BMW's latest sports car, the plug-in hybrid i8. But one bidder has paid significantly more than that for a special edition version that went under the hammer yesterday at the 2014 Pebble Beach Concours d'Elegance. Presented as a celebration of the BMW i8's arrival in the U.S, the one-off BMW i8 Concours d'Elegance Edition sold for $825,000 at the auction, unsurprisingly setting a record for the brand-new vehicle. 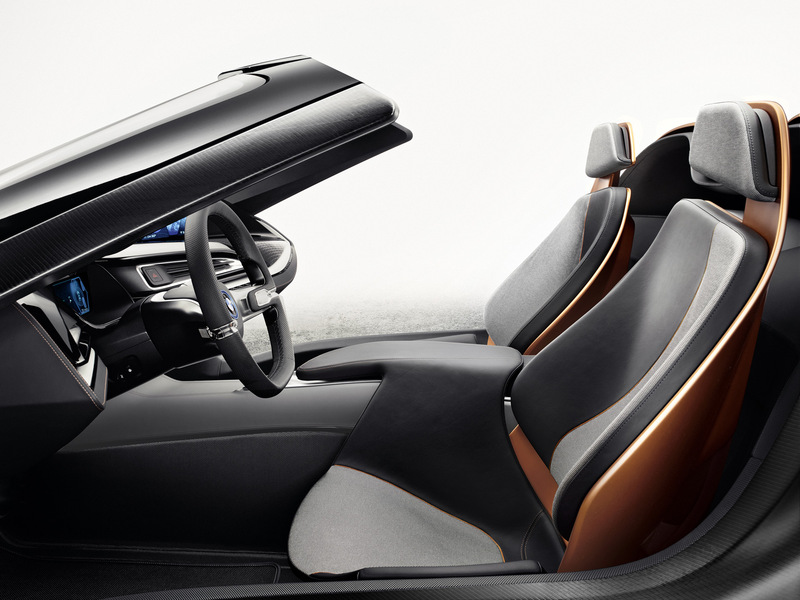 The special edition model is painted in a shade of Frozen Gray Metallic with contrasting Dalbergia Brown leather upholstery—dyed using plant extracts and stitched with blue accents. 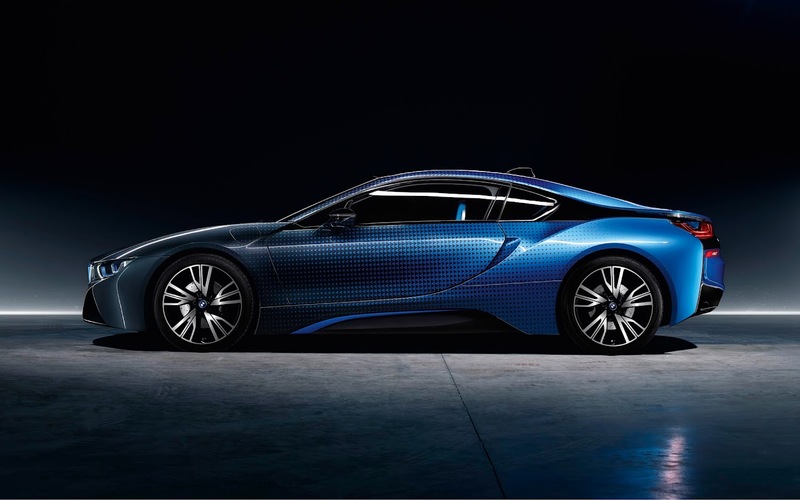 The buyer will find blue seatbelts too, while "Concours d'Elegance Edition" script is laser-etched into the cabin and the seats are embossed with the BMW i8 logo. 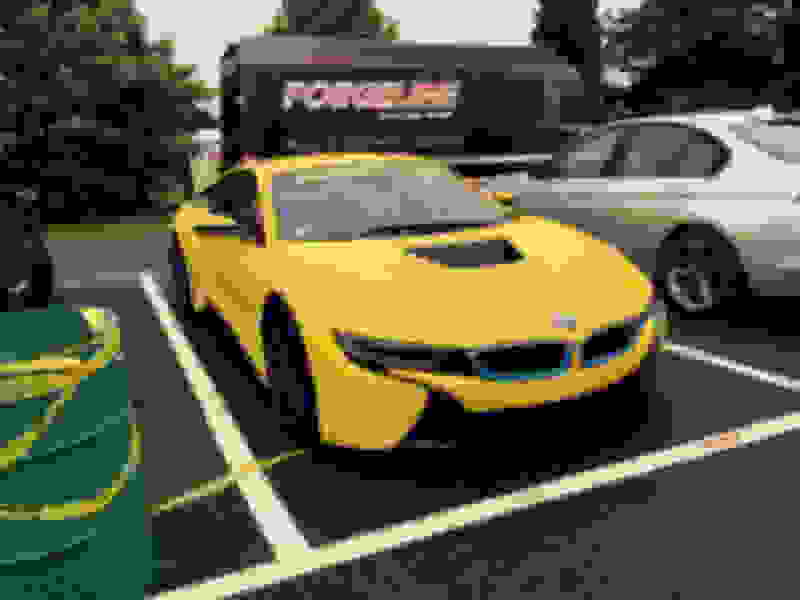 Naturally, someone hasn't paid that price simply to get their hands on an i8—even one painted a fetching shade of gray and packed to the gunwales with equipment. Instead, proceeds from the sale, hosted by Jay Leno, will go to the Pebble Beach Company Foundation, which raises funds for Monterey County youth projects and organizes grants for arts, athletics, environmental sciences, educational organizations and community programs. The event also marked the first date of delivery for the i8's first U.S. customers. 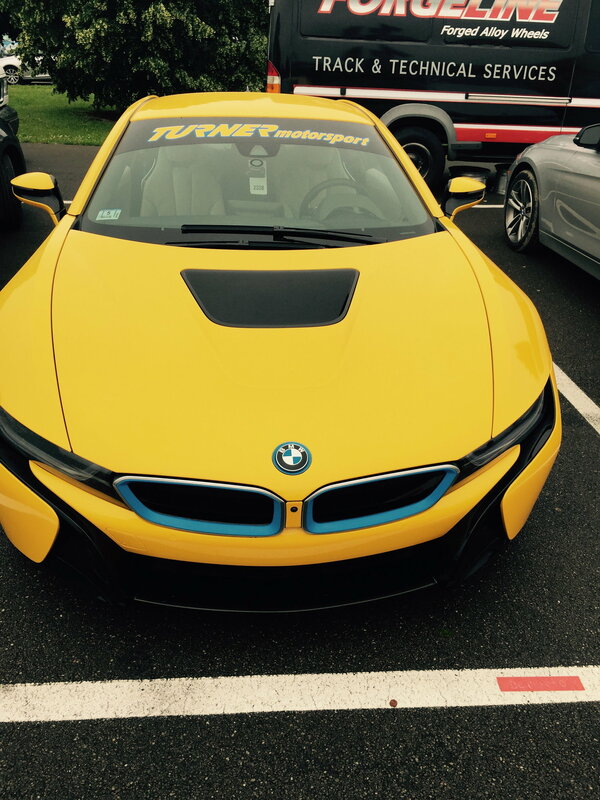 BMW hosted a dinner for the first owners, with food cooked by world-renowned chef Thomas Keller. Keller himself is among the first owners of the i8, joining a long list of tech-savvy CEOs from all walks of industry. Rick Hendrick, owner of NASCAR Sprint Cup team Hendrick Motorsports, also took delivery at the event. BMW held a similar event in Germany back in June when international deliveries of the car commenced. BTW, the online configurator is finally up on the BMW USA website. I have no idea what the "World" business is about (it seems to be certain packages of options bundled together into "World" groups), but there are very very indiviudal options a buyer can select (which is a change for BMW). One thing I was glad to see, you can opt out of the electric blue accents for certain colors. Gramps, you buyin' an i8...? If I was going to spend $130k on a car, it would be an M6GC, not an i8. But, I think the i8 is cool car. Pfffft...if I had $130K, I'm buyin' an RLX with upgraded wheels and smokin' yo old and senile @$$. For the price of one M6GC, you could buy two RLXs, give one to SSFTSX, and both destroy me in the M6GC. Then you could give each other e-high-fives every day about how awesome the RLX is in the 1/4, not to mention its superior AC vents and aerodynamic mirrors. Pffft...screw that. The RLX is for Little Cha. You're going to be beaten by a stick and an infant...in RLXs. In late 2011, BMW signed a memorandum of understanding with Toyota for collaboration on a number of projects, one of which was development of a new sports car platform to spawn a replacement for the Z4 as well as a spiritual successor to the Supra. 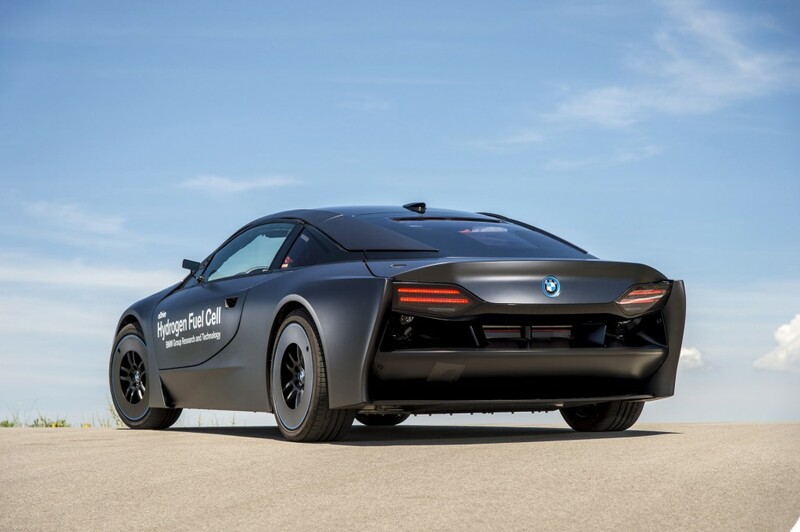 Another crucial area for collaboration was hydrogen fuel cell technology, with BMW able to leverage Toyota’s years of research in the field. Despite the lack of a refueling infrastructure and the dubious means by which the majority of commercially available hydrogen is sourced (typically from natural gas that’s undergone steam-methane reforming, a complex process that wastes a lot of energy and produces a lot of CO2), a number of automakers, mostly from Japan, are working to get mass-produced hydrogen-powered fuel cell cars on the roads. In fact, Toyota has just launched its Mirai on the market and next year Honda will bring a production version of its FCV concept. 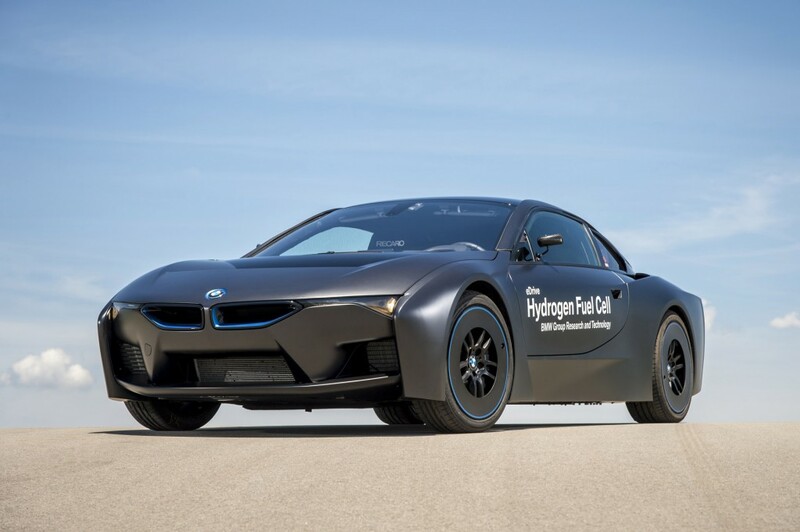 BMW is keen to keep its options open and thus is also looking to develop its own commercially viable fuel cell. 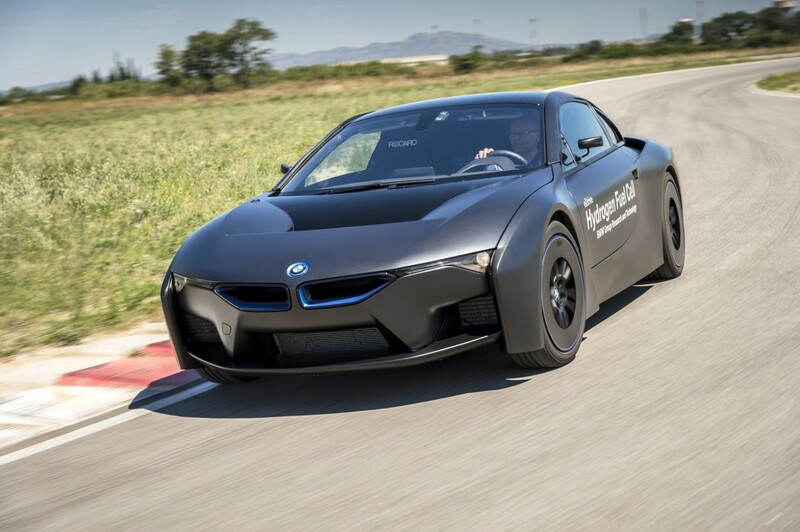 This week, the automaker gave a glimpse of its progress with technology demonstrators based on the i8 plug-in hybrid sports car and 5-Series Gran Turismo. The vehicles are being used for testing and validation purposes and are not intended for production. Instead, BMW says its aim is simply to have a production-ready fuel cell by 2020 and may produce a fuel cell car should the market demand one. Fuel cell cars are essentially extended-range electric cars that use a fuel cell to charge the onboard battery instead of an internal combustion engine. 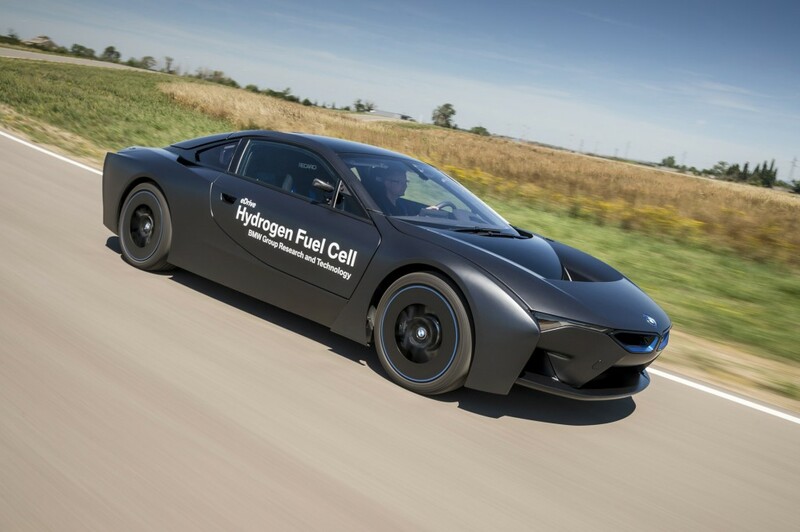 Hydrogen fuel is combined with oxygen from the air inside the fuel cell stack in a process known as electrolysis. The only byproducts are electricity, which is used to directly power an electric motor or charge up a battery, and water. BMW is keeping most of the specs a secret, but we know that in the 5-Series GT, the car’s regular internal combustion setup has been removed and replaced with a 242-horsepower electric motor, a roughly one-kilowatt-hour battery and a fuel cell stack. To store hydrogen, a pressurized tank in the form of a tunnel tank between the front and rear axles has been installed. 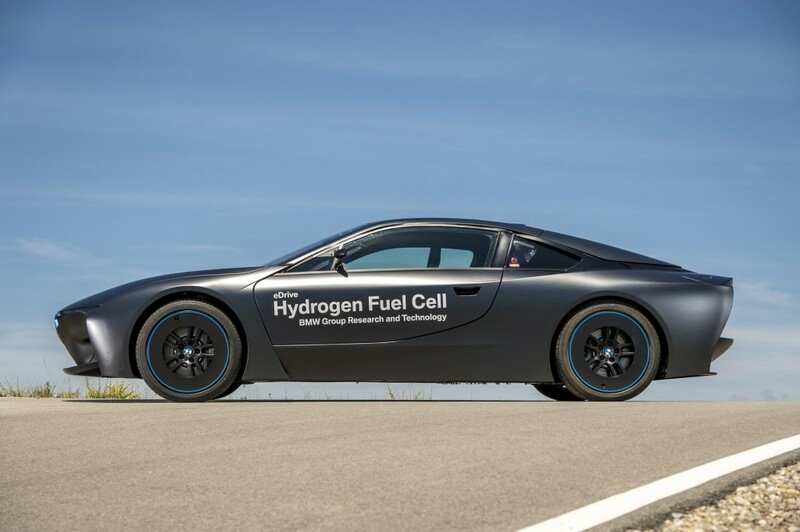 BMW says the tank can store enough hydrogen for a driving range of about 300 miles. A similar setup is thought to feature in the i8. The unique body has been installed to reduce weight was also improve aerodynamic efficiency. Crucially, both technology demonstrators feature their electric motor at the rear, where they drive the rear wheels only. 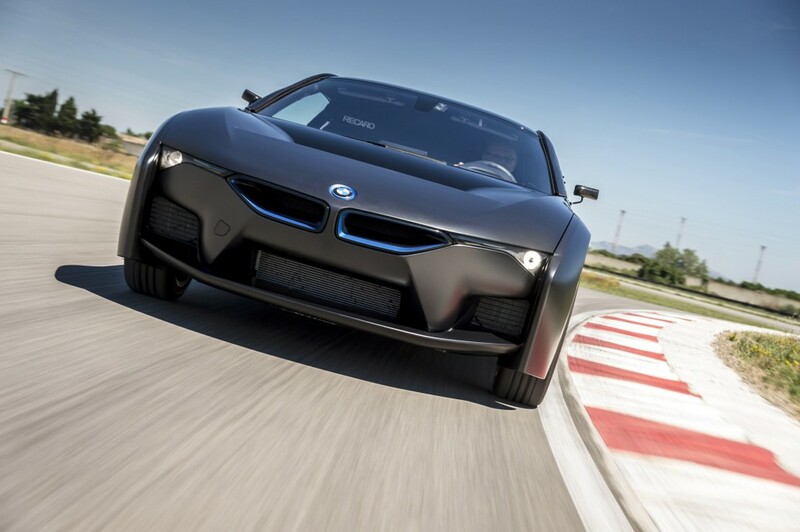 BMW’s research into fuel cell technology is just part of the activities at its i sub-brand for eco-focused mobility. Alongside fuel cells, the i sub-brand is also developing and producing plug-in hybrid and fully electric cars, and there are more to come such as the oft-rumored i5. Whoa, never seen one in yellow. Looks good. If you’re looking to make a big splash at the Consumer Electronics Show, taking a page out of BMW’s book and rolling out an exotic sports car wearing bright orange paint on its exterior and featuring some mind-boggling tech in the cabin wouldn’t be a bad idea. 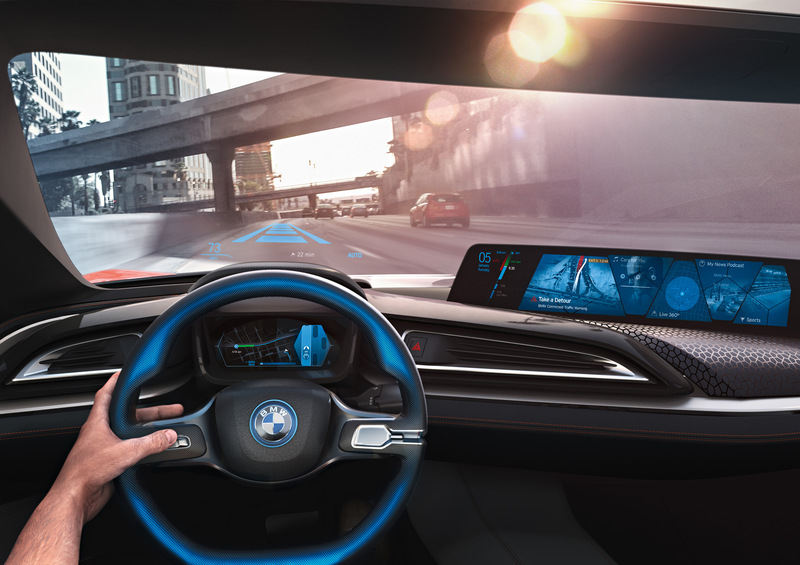 The German automaker with its latest concept, officially the BMW i Future Interaction, certainly turned a lot of heads at CES during a presentation earlier today, and just looking at these shots makes it easy to see why. But what about the technology? 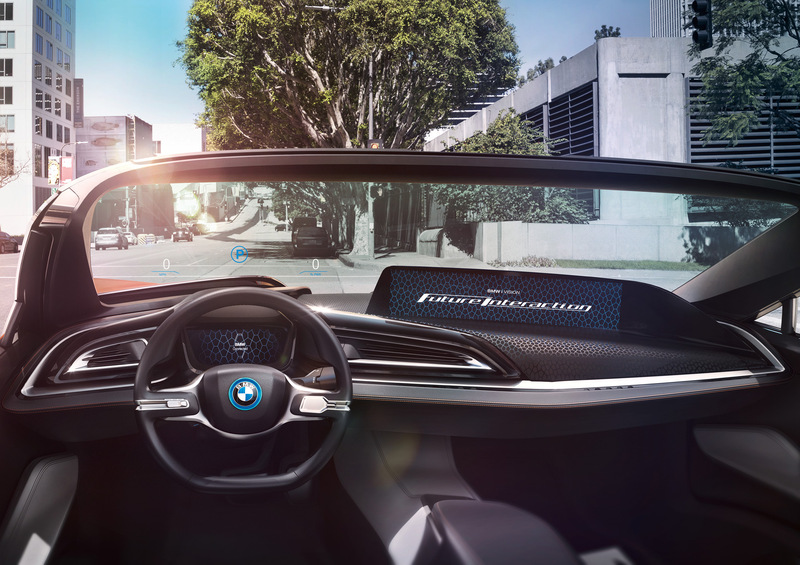 BMW says the concept provides a preview of the networked car of the future and the user interface it could feature. The main element is a gesture control system called AirTouch that was announced a week ago. AirTouch is an evolution of the gesture control system that debuted in the 2016 BMW 7-Series and enables control of entertainment, navigation and communication functions using gestures made with a flat hand. The version in the 7-Series reads finger movements only. By making set hand movements over the center console, where special sensors can read the movements and translate these to commands, the driver can control a number of the vehicle functions. 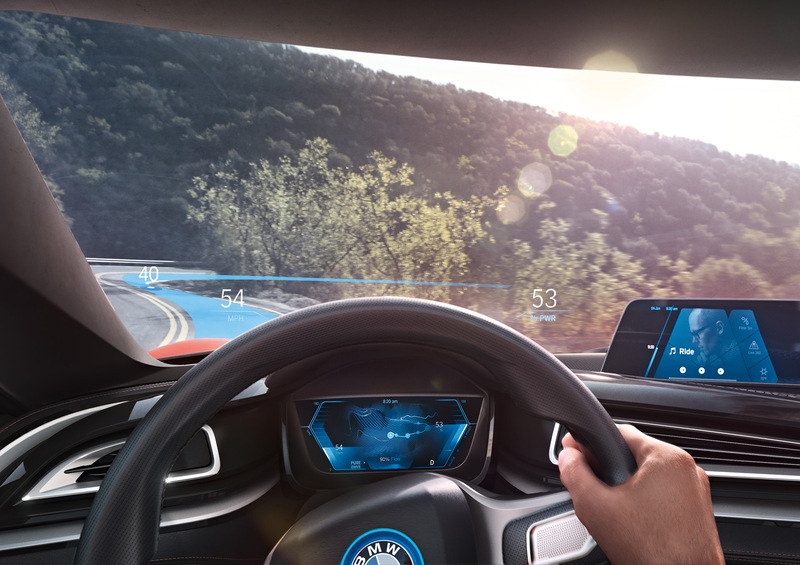 Information is relayed back through a head-up display, the main instrument cluster and a massive 21-inch panorama display located in front of the passenger. 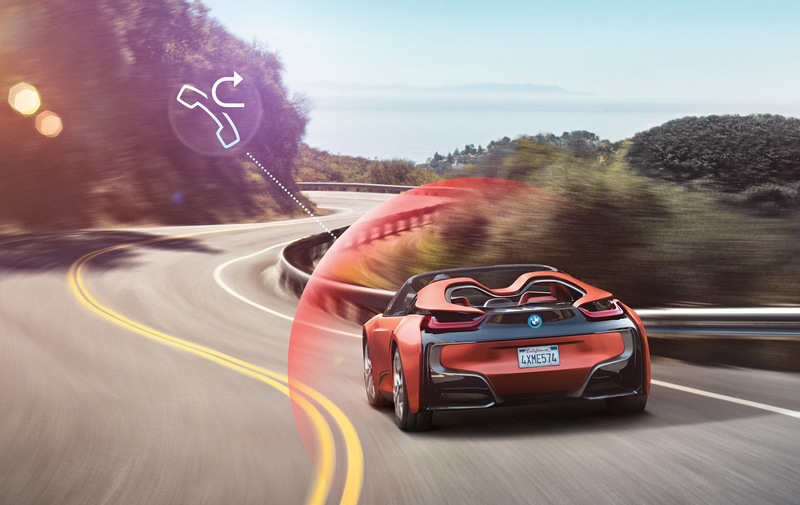 BMW hasn’t confirmed AirTouch for production but says that such systems will make more sense as vehicles start to have more autonomous capability. 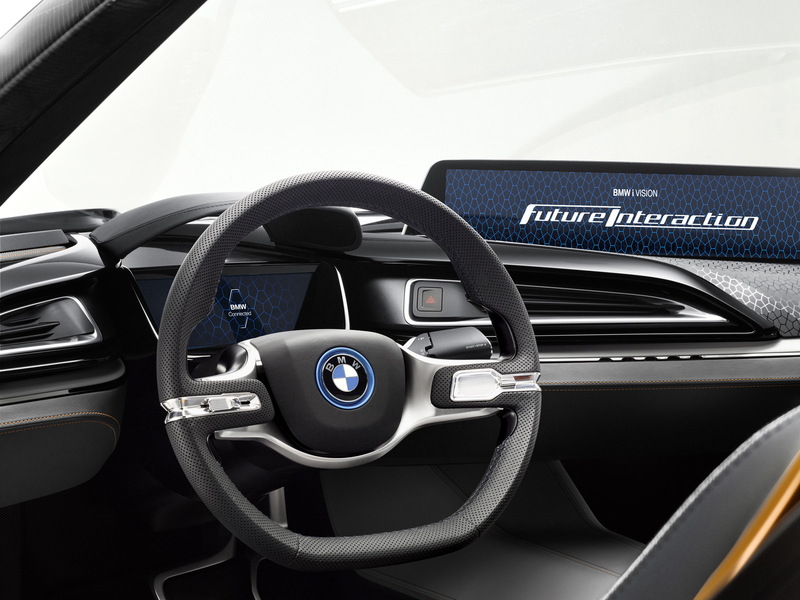 In fact, the BMW i Future Interaction also has a version of BMW’s planned autonomous driving system. BMW hasn’t provided many details on this area but says its future cars will have three modes to choose from: Pure Drive (driving yourself), Assist (assistance systems intervene actively) and Auto Mode (highly automated operation). Also on another i8-based concept is a new feature called Mirrorless. 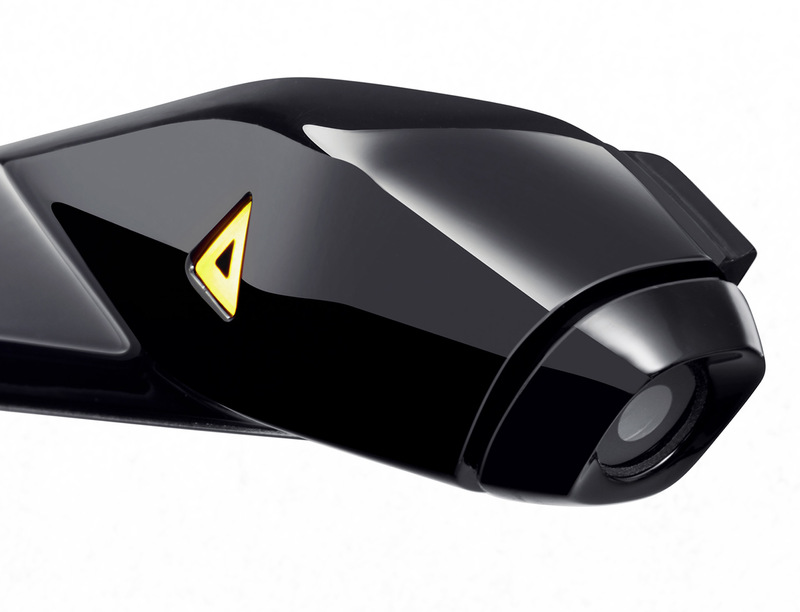 This does away with the standard rear-view and side mirrors, replacing them instead by three cameras that project an image on the various displays. 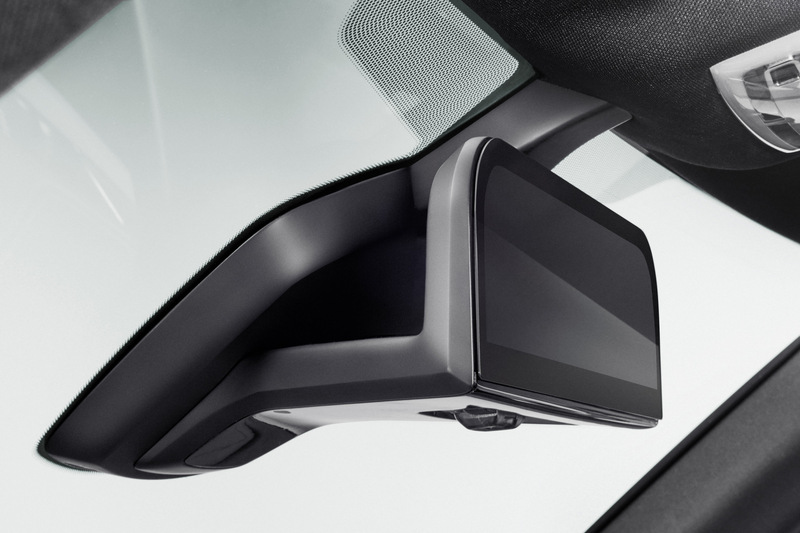 BMW says the cameras cover larger viewing angles and eliminates blind spots. Furthermore, the system evaluates the images and provides a situative response to imminent hazards, for example with yellow warning icons. This year at CES, the BMW Motorrad motorcycle division also had a presence. The two main attractions at the BMW Motorrad stand were a laser headlight and a helmet with a head-up display. Curious what current US DOT regs say about cameras in lieu of mirrors. This is likely the future, I imagine. Can't be too far off from this becoming more common. Since US DOT is normally behind the times I am sure it will be allowed in Europe before it will be here. 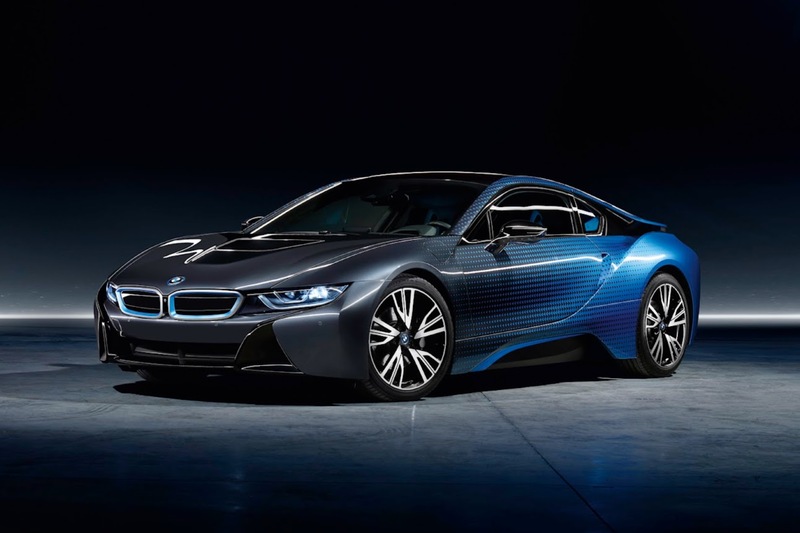 The BMW i brand began manufacturing the first ever cars designed from the outset for zero-local-emission driving – in the form of the all-electric BMW i3 and the groundbreaking BMW i8 plug-in hybrid sports car – back in November 2013. By expanding its product portfolio to include a wealth of pioneering and highly convenient services, BMW i now has the largest worldwide market presence of any premium manufacturer of electric cars and is playing a very active role in shaping the future of personal mobility. In the process, the BMW i brand has come to represent an approach where sustainability is a key defining element, and it is synonymous above all with forward-looking mobility and progressive design. All of these qualities are captured to highly impressive effect by the new BMW i8 Protonic Red Edition model on show in Geneva, which takes individuality to a whole new level with its exclusive highlights and equipment features. 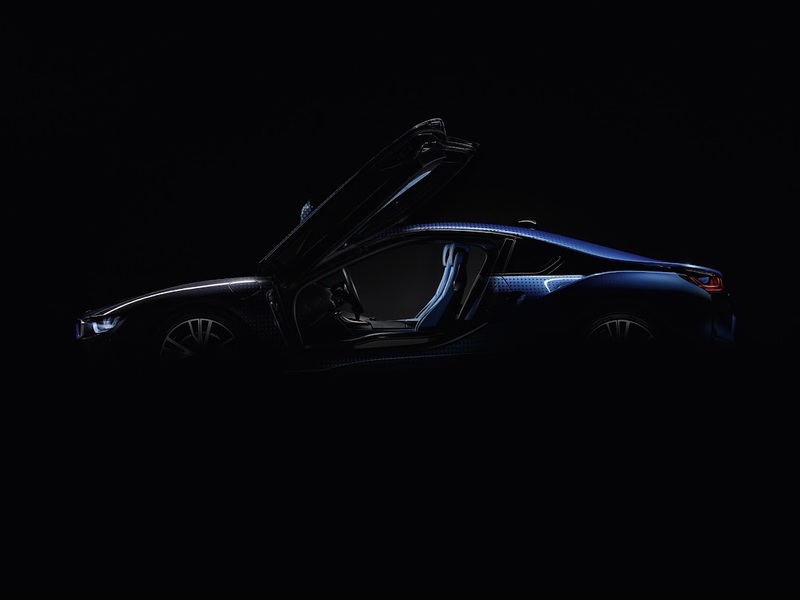 It is the prelude to a series of special-edition variants of the innovative plug-in hybrid sports car, which will each be available for a limited period of time only. It boasts all the special hallmarks of a BMW i car, such as the specially developed LifeDrive architecture with a passenger cell made from carbon-fibre-reinforced plastic (CFRP), and the BMW eDrive powertrain technology that delivers exemplary efficiency combined with outstanding everyday practicality and generates the driving pleasure for which BMW is renowned. The new BMW i8 Protonic Red Edition. The BMW i8 Protonic Red Edition taking to stage at the Geneva Motor Show is a new and exclusive limited-edition version of the plug-in hybrid sports car that offers customers a new option when it comes to tailoring the trailblazing sports coupe even more closely to their individual tastes. At the same time, the Protonic Red Edition is the first in a series of forthcoming special-edition variants, which will allow customers to enjoy a selection of bespoke equipment highlights in the 2+2-seater BMW i8 sports car. Due to go into production this July, the inaugural special-edition BMW i8 sports an exclusive Protonic Red paint finish with contrast accents in Frozen Grey metallic. This is complemented by BMW W-spoke 470 light-alloy wheels painted in Orbit Grey metallic with hubs painted in Aluminium matt and mixedsize tyres (front: 215/45 R20, rear: 245/40 R20). The “i8” embossing on the front head restraints and the door sill strips bearing the lettering “Protonic Red Edition” lend a special touch to the interior’s natural aesthetic appeal. The seats feature double lap seams in red, and the red stitching is in evidence again in the door and side trim panels, echoing the exterior paintwork to perfection. 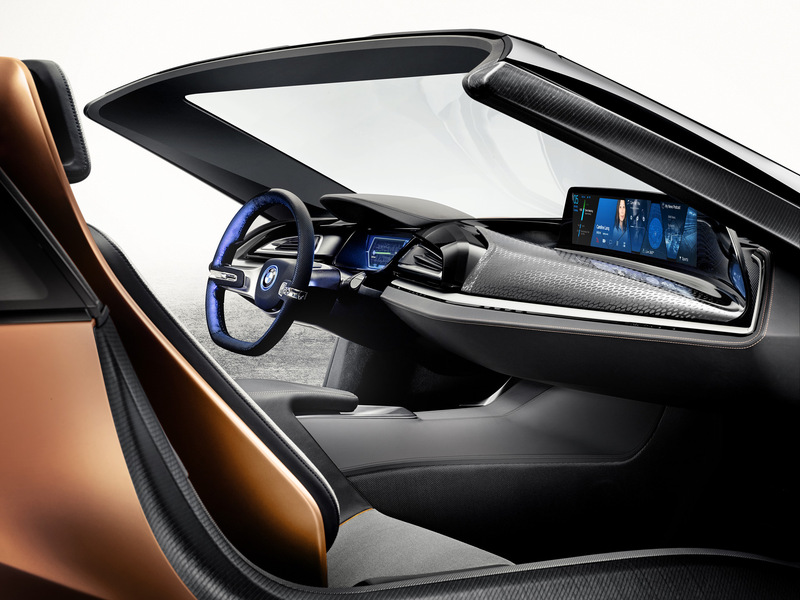 Exclusively designed embellishers made from highgrade carbon fibre for the centre console and instrument panel reinforce the cool, sporty look of the BMW i8 interior, as do the carbon-fibre pull handles on the insides of the doors. The gear selector with black ceramic detailing, the grey-coloured seat belts and the specially designed floor mats with leather piping and red contrast stitching put the finishing touches to the cabin’s highly individual styling. The BMW i8 Protonic Red Edition will be produced at the Leipzig plant starting in July 2016, and will be available to order for a limited period only up to the end of 2016. 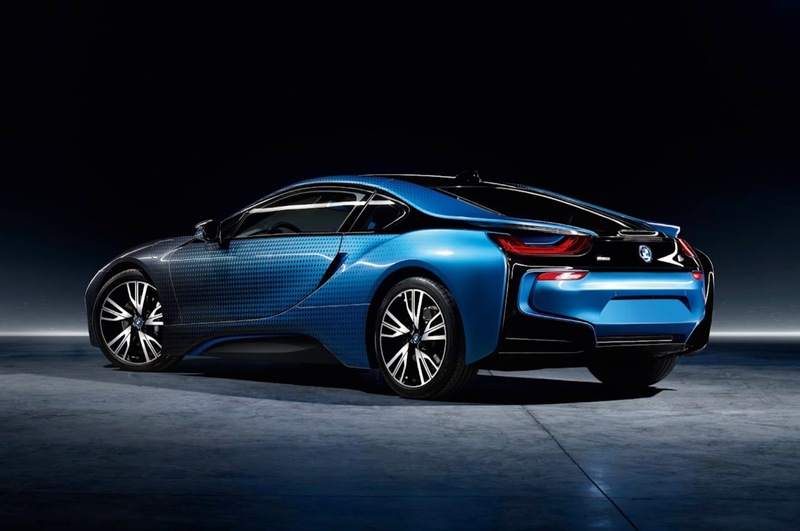 BMW Italia and Garage Italia Customs present the BMW i8 Futurism Edition. The initiative is part of the 50th anniversary celebration of BMW history in Italy. The opening press conference for the presentation took place at the BMW Milano City Sales Outlet, with Sergio Solero, President and CEO of BMW Italia, and Lapo Elkann, President and Founder of Garage Italia Customs. BMW Italia and Garage Italia Customs have created a special Edition model to celebrate the 50 years of BMW history in Italy. 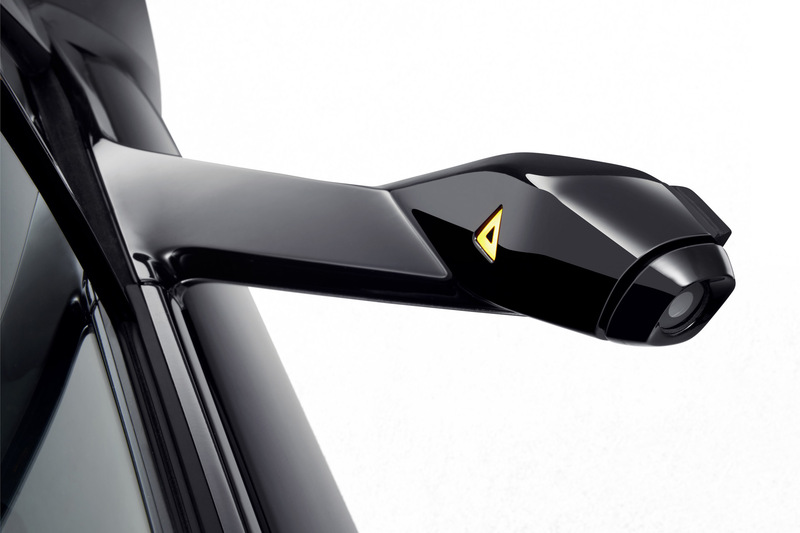 The Edition combines the icon of future mobility with the Italian art of Giacomo Balla. The car will run in the Mille Miglia 2016 following the BMW 328 driven by Sergio Solero, President and CEO of BMW Italy. "Lampada ad Arco", the work of Giacomo Balla, is replicated on the car. The original painting hangs in the Museum of Modern Art in New York. It represents a street lamp powered by electricity under moonlight. The revolutionary color technique and the advent of electricity in the 1900s are strictly linked to the future technology of the BMW i8. 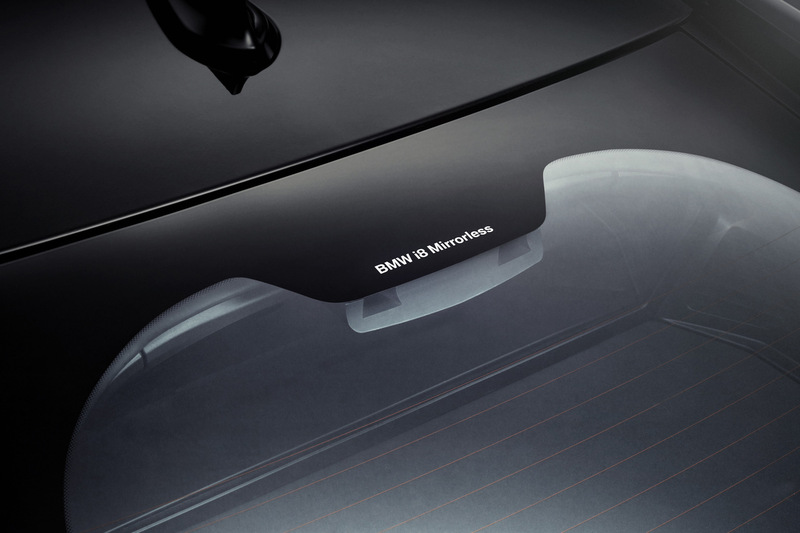 BMW i stands for visionary vehicle concepts and technologies and connected mobility services, as well as a new understanding of premium that is strongly defined by sustainability. BMW i is represented in 50 countries with the BMW i3 (electric car for metropolitan areas) and the BMW i8 (plug-in-hybrid sports car). 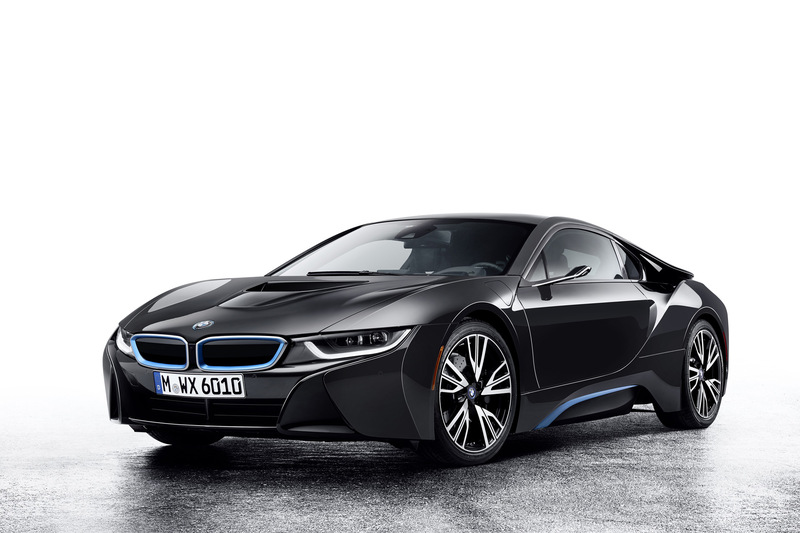 The BMW i8 is the world’s best-selling hybrid sports car and represents an icon of future mobility. "There was immediate synergy with BMW Italia" stated Lapo Elkann, President and Founder of Garage Italia Customs "the very first time we met for the i8 Futurism Edition project. Garage Italia Customs and the BMW brand both share, in fact, all the values connected to technology evolution and the continuous search for innovation in their specific sectors. 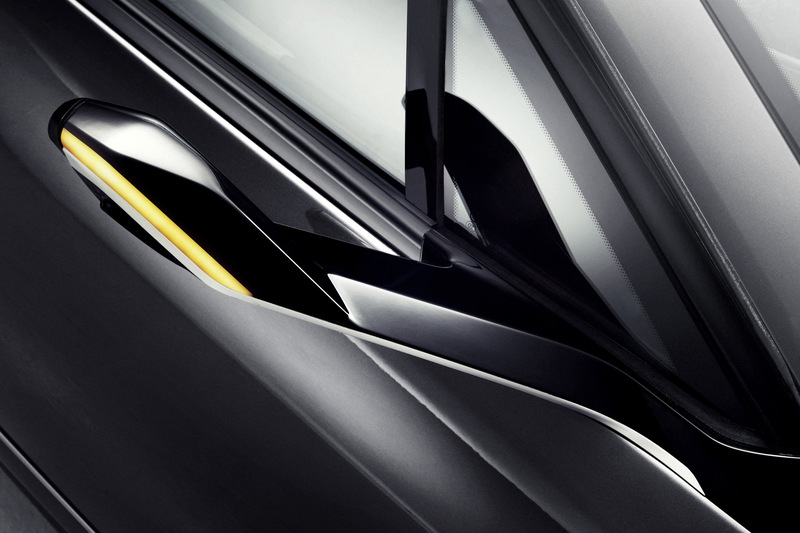 The BMW i8 Futurism Edition is a practice of style. It gave the Garage Italia Customs Maestros a chance to celebrate a car which is projected towards the future of mobility. At the same time, it honours Italian art with Giacomo Balla, who is a prominent figure of the Futurism movement." 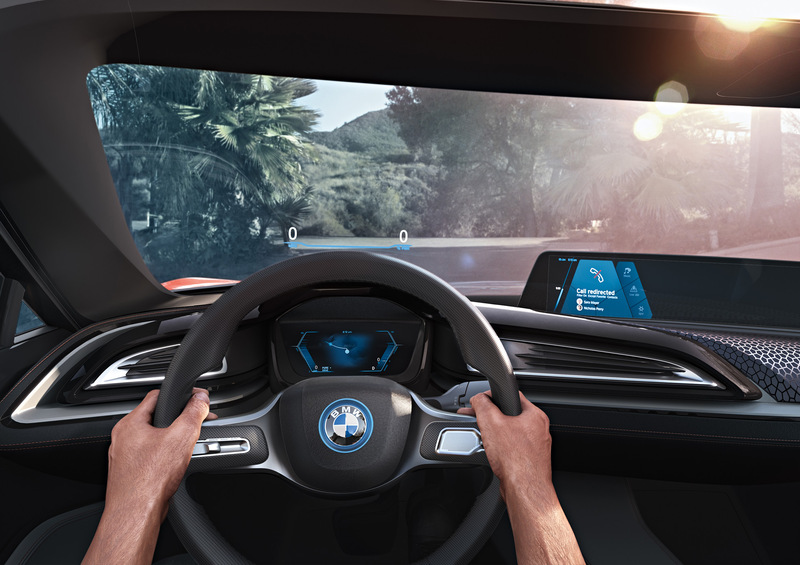 "The BMW i8 Futurism Edition," said Sergio Solero, President and CEO of BMW Italia, "represents the pairing of a sports car of the future with Italian creativity and art. For this occasion, we have devised a project with an important partner like Garage Italia Customs, one of the best specialists in car customization. This initiative is a perfect fit with the cultural program which, on the occasion of our celebration of the 50 years of BMW history in Italy, we have developed even further in order to witness to our commitment to and integration in the fabric of the country." A collaboration between BMW Group Design and Garage Italia Customs has produced an innovative colour and material concept of two concept cars based on current BMW i models. The BMW i3 Garage Italia CrossFade and the BMW i8 Garage Italia CrossFade will be presented on 30 September 2016 at the start of the Mondial de l’Automobile 2016 in Paris. The premiere in the French capital will also serve as an outlook on edition models of the BMW i3 and the BMW i8. These models, which both feature an exterior design derived from the concept cars, will become available at the beginning of 2017. Following the world premiere of the BMW i8 Roadster at the 2017 Los Angeles Auto Show, sales will commence in May 2018. 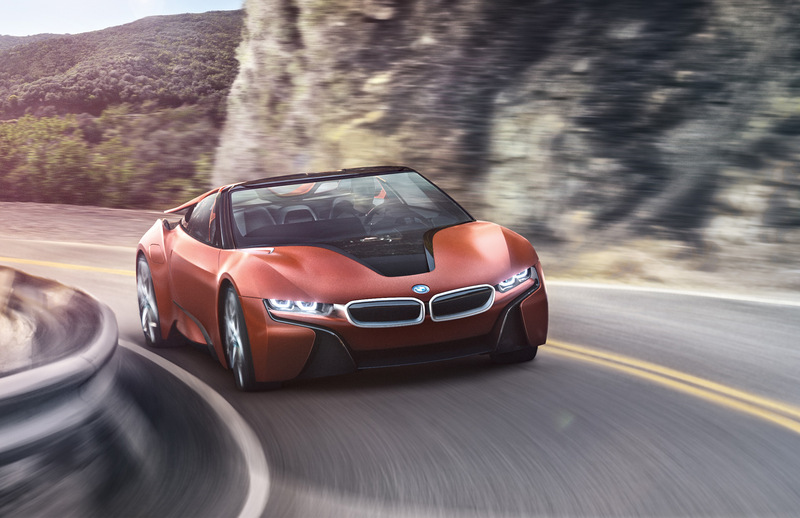 The Roadster will be joined in showrooms by the new version of the BMW i8 Coupe. Both models are based on the LifeDrive vehicle architecture designed for BMW i cars. The aluminium Drive module brings together the powertrain, high-voltage battery, suspension, crash system and structural functions, while the Life module takes the form of a passenger cell hewn from carbon-fibre-reinforced plastic (CFRP). 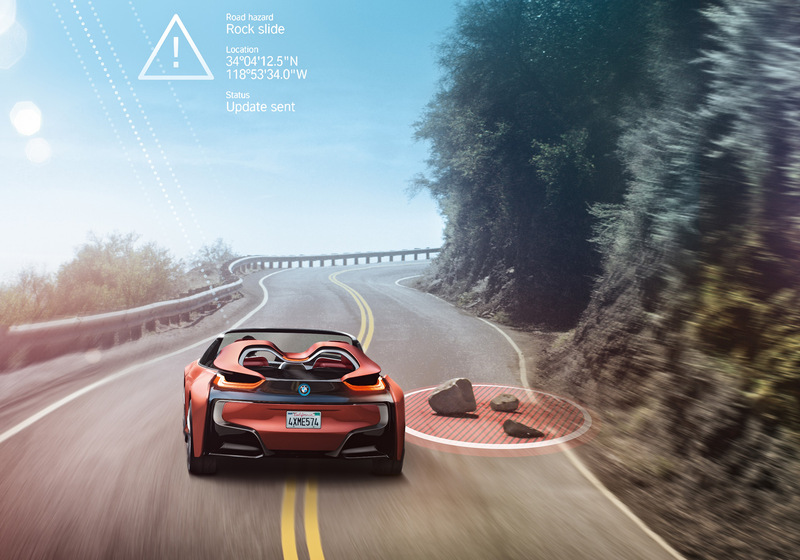 And so the BMW i8 Roadster also benefits from a low-weight construction, complete with low centre of gravity and even weight distribution. The aerodynamically optimised exterior - with model-specific gullwing doors and a soft-top roof that also displays great visual lightness - is a fine exponent of the signature BMW i design language. The result is a two-seater boasting a distinctive and elegantly stretched silhouette, and delivering an immediate promise of instantaneous power ready to be unleashed. BMW has just built one supercar in its entire history, but BMW Group’s development chief Klaus Frohlich is nevertheless pushing hard for a new-age M1. Speculation about a successor to the legendary BMW M1 is nothing new. 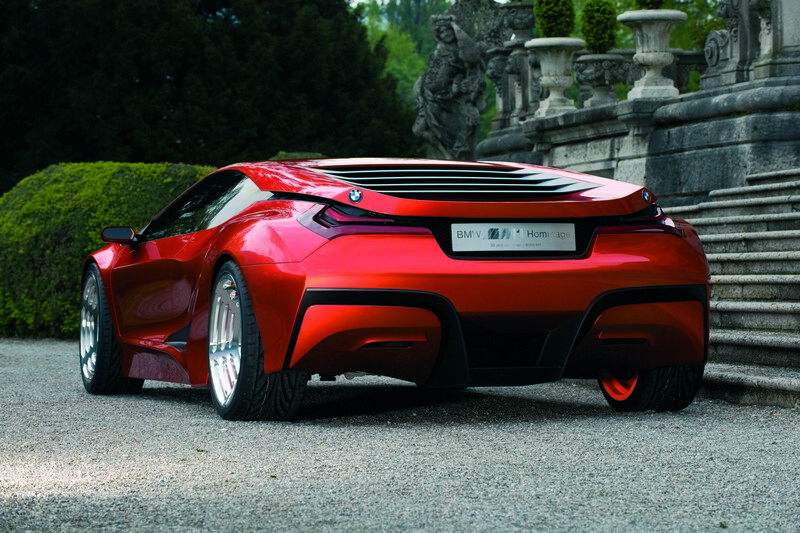 However, this is one of the first times a senior member from BMW has admitted to pursuing the idea of a supercar. 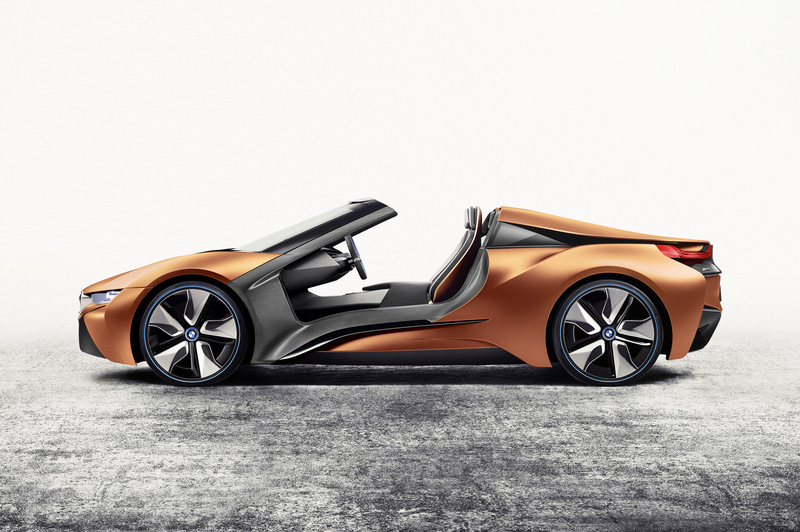 Speaking with Australia’s Motoring at the Paris Auto Show, Frohlich said that he continues to push for such a model and believes it could be based around the carbon fiber chassis of the i8. “I’m a car guy. Once in a life I want to make a supercar. I have not given up,” he said. “I have a wonderful carbon-fiber chassis for a sports car in my portfolio. Currently, it’s used in the i8. This car was launched in 2014, so I would like to use something like that, with much more performance, electric and conventional. “Then it will be very soon in the 600 horsepower or something region and it will not have a weight of two tonnes,” Frohlich revealed. 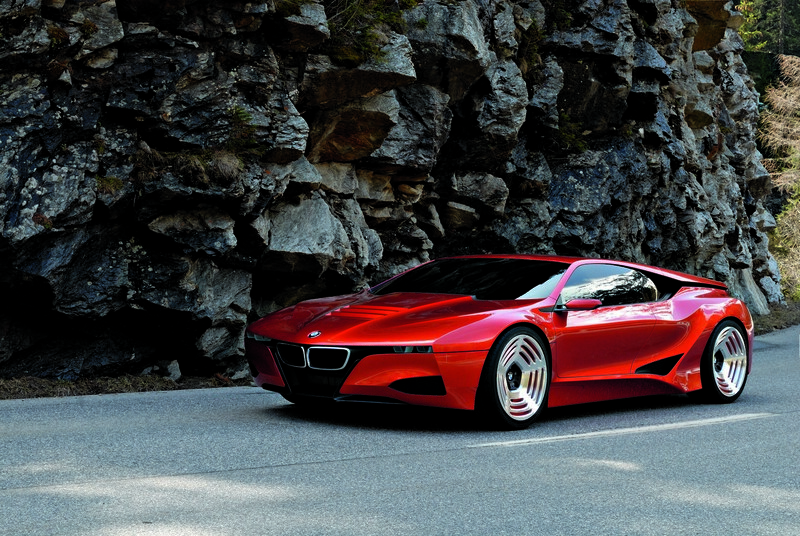 According to Frohlich, a new BMW supercar won’t arrive this decade. Instead, he believes the next window of opportunity for such a vehicle will be after the second-generation i8 launches. “The chassis is so robust, so good and so light-weight that I would like to use it for a second generation. I’m working very hard to make it happen,” he said. Despite this, Frohlich admitted that it will be hard to convince BMW management to green light such a vehicle as it would be unlikely to turn a profit. As a matter of fact, BMW M boss Frank Van Meel said 12 months ago said he didn’t feel the need to make a supercar targeted towards a very small group of people. He also said that he doesn’t believe the BMW M brand needs a halo vehicle.